I was sent the following coincidence story as the sender thought it may be of interest to me as the places mentioned are from where I lived as a child. Though only a very short story there are five coincidences between me and the coincidence story! 1) My parents were married on the 26th. 2) I was born in Hillingdon Hospital. 3 & 4) I lived in Hillingdon until I moved to the neighbouring town of Hayes when I was 12. 5) My parents used to take me to Ruislip on the bus. 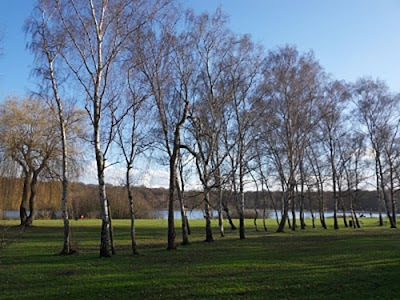 There is a Lido there and I published a post about this back in February 2011: Ruislip Lido Memories And The Voices Of The Night. "My husband and I met in London and we later discovered many things in common. "We were born in the same Hillingdon Hospital despite Alan coming from Essex and me from Hayes Middlesex. His mum was staying with relatives in Ruislip due to the war. "My ancestors come from the village in Essex where husband Alan was brought up and his ancestors come from. I was unaware of this until I did our family trees. We have relatives in common in our family trees even though we grew up many miles away from each other." It's funny how such a short story has affected me. It transported me back through time and also the post I wrote about Ruislip became more meaningful for me. In that post I mentioned how I heard voices during the night saying,"We're here ... we're here ... we're here ..." There must be some sort of message for me here, will have to see what pans out. "Maybe I was dreaming - but I don't believe I was - or maybe my memories were emphasising some sort of message." In your past post. "I am convinced that I re-connected with my deceased parents in a non-physical plane of reality.I was not able to be with my parents when they died,but three months after losing my mother,she came to me.Similarly,four years later and again three months later after his death,my father also visited me.Non-physical experiences of "presences" happen to me while in deep states of meditation and also while I am in a state of consciousness between waking and sleeping,known as the hypnagogic state.You are not dreaming in any conventional understanding of the word.You know who you are and where you are.You believe yourself to be wide awake and moving in your physical body when in fact you are still lying in bed with your eyes closed.I interpret these very vivid experiences to be happening in the "astral" plane.I am moving and speaking in my astral body not my physical body.The veil between the realms lifts during sleep and on the edge of waking consciousness you can be in two worlds at the same time.I think it is very likely that the vivid UFO abduction experiences that have been so well documented could be something similar.They are events that seem physical but are actually occurring in some other dimension of reality." Definitely food for thought. I still think of my parents most days or they seem near - as per yesterday's post for example. Thanks for taking the time to write the excerpt. When I read Gillian's passage above it reminded me of the "dream" I had of my dead father-in-law pushing me up a hill in a peddle car.It was a mix of dream and reality to me,like no other dream I had ever had before or since.It was vivid like it it was a message to me from him...which I am convinced it was,as the puzzle that "dream" presented to me has had a direct influence on many uncanny real life events for me that would never have happened if it wasn't for that dream. I am not a good dreamer at the best of times and know that this "dream" came from the outside of my consciousness and not from the inside.In other words this "dream" was not mine,it was his.A way of communicating something to me perhaps the only way he knew how.I know this all sounds bizarre,but it's one of those things in life as they say that "you just have to have been there". Great post and definitely a double whammy of a synchro. This is a great excerpt, Daz, and now I'm getting that book! 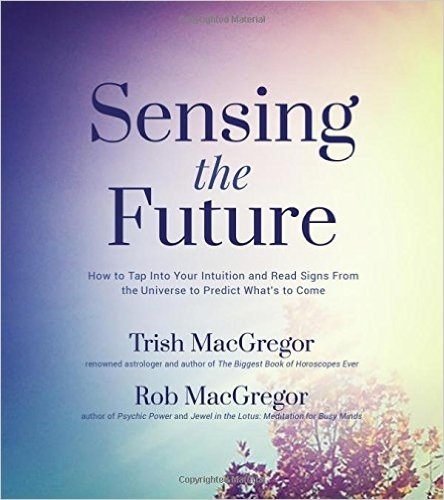 Thanks Trish - Darren's excerpt is excellent.